Hi, she’s a marbled orbweaver, Araneus marmorous. Gotta love big round orange spiders! Agreed, Araneus marmoreus. 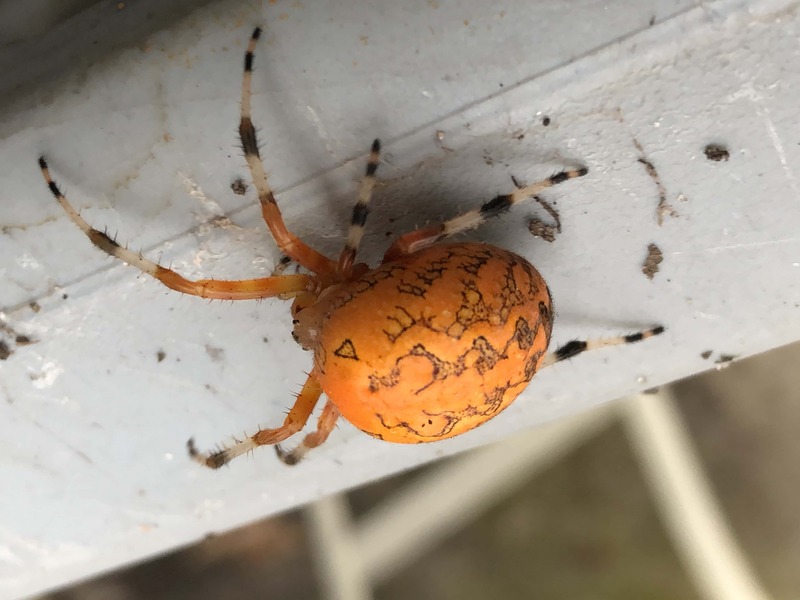 Wow, that’s one bright orange spider.